This is supposed to be a 10 room self contain hostel something similar to the image above but with a better architectural and engineering.. 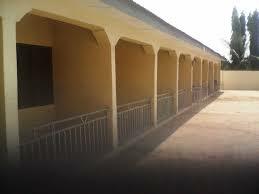 It is to be located in Kwara state north Eastern Nigeria. Each will have a kitchen and a bathroom with fitted wardrobe and ceiling fans. Availability of funds and acquisition of land. None necessarily due to the high demand for accommodation within the area. The demand is more than available accommodation. Standardized building materials and structure of the project. None within my disposal due to the laid down requirements by banks. None within my disposal resulting in the acquisition of the loan. Request for loan for the implementation of the project.